Surprise Surprise, a mini-preview of Halo 4 revealing a lot of details about the setting and the gameplay changes has been posted on the official Bungie forum. One interesting fellow claiming to be a friend of someone, who was sent the media document about Halo 4, with information embargo till Halo Celebration event in August, has posted a paraphrased version of it on Bungie Forums. You can read through all the details below but I advise taking everything with a large grain of salt. This is a Leak after all. 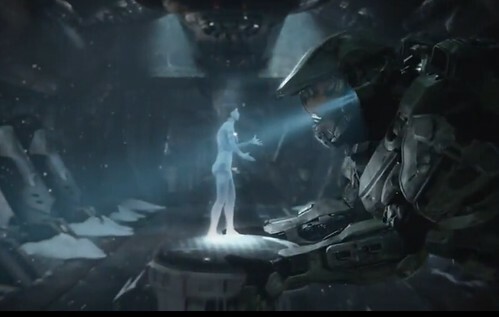 Halo 4 returns players to the story of the Master Chief and Cortana in the events that follow the conclusion of Halo 3. 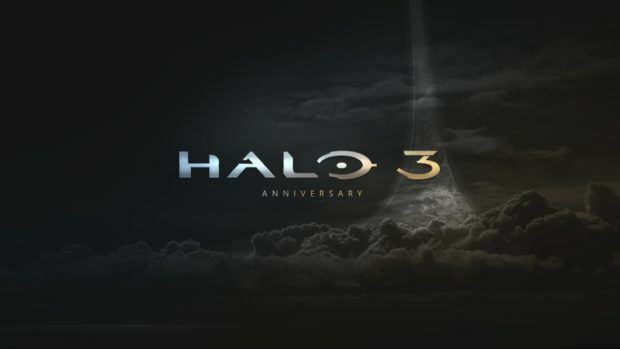 Players will experience an all new story and introduce a new roster of enemies and weapons to the Halo experience. Set against the top secret Forerunner planetoid known to ONI as Sigma 7, players will encounter a dark new foe and unravel more of the mysteries behind the forerunners and the Office of Naval Intelligence. At the heart of Halo 4 is a stronger focus than ever before behind story telling and player choice. Players will be offered an unprecedented level of customization and a narrative experience never before seen in a first person shooter. On a technical level Halo 4 pushes the boundaries of the action genre by incorporating larger battlefields than ever before and players will experience conflicts that seamlessly span land, sea and space. Halo 4 will expand the series trademark arsenal of weapons and vehicles beyond any other title so far. Players can expect fan favorites to return along with new additions. Halo 4 will also feature the revolutionary new Arsenal Improvisation Mechanics that allow for menu-free, creative customization of weapons and vehicles in the heat of combat. Players will take their fight to a new level by dynamically tailoring their weapons and vehicles to suit any situations or enemies. At the moment it seems 343 are focusing on the new and improved story and weapons system (of which the new AIM mechanic is only mysteriously alluded to) but there was some video shown that fills in some of the gaps. Halo 4 is set on a Forerunner planet that has an inner and outer surface that provides two distinct styles. The outside is very industrial and features a wide range of hostile Forerunner tech and AI. The video showed space combat here. The inside of the planetoid is hollow and is sectioned off in to many tiers/bands (almost resembling Halo rings) that feature a myriad of natural environments not only resembling earth’s but many other alien terrains. The video featured combat across a multitude of environments from space to mountains, plains and oceans. Presumably, ONI had been top secretly researching the planet for some. There are UNSC forces on the planet but they look really degraded and disorganized and it was implied that they may be divided into factions and warring with each other. At one point we see a heavily modified warthog that has had the wheels replaced two kind of anti gravity devices. At another point the Chief is clearly sprinting which possibly implies a return of armor abilities. There was no sign of the Flood or the Covenant but at the very end of the trailer the ‘dark new threat’ was hinted at. The video ends with the Chief standing at a dark cave entrance and from within can be heard some menacing gurgling and grunting. Cortana says “They’re coming back … and there’s a LOT more of them this time”, the Master chief then readies a new weapon that looks like a cross between a rocket launcher and a Needler and it focuses on his helmet and visor and a number of strange digital effects ripple across his visor then the videos ends. Sounds like a lot is changing, I will still hold my thoughts to go wild. It’s too early to say anything. I have forwarded an email to Microsoft, will update if got any response. Update. Microsoft denied the LEAK, calling it a Speculation at BEST.